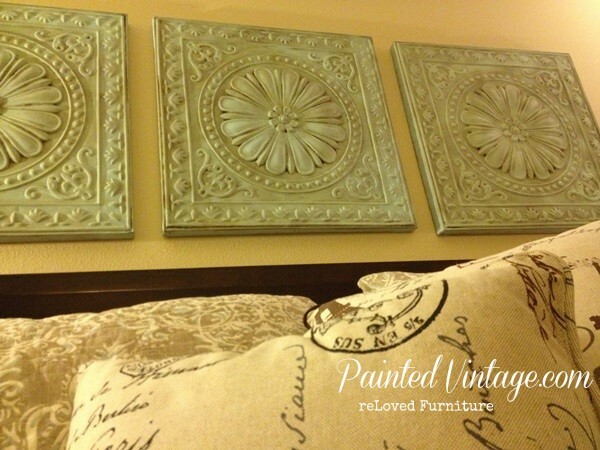 I used the Magnolia chalk paint on a bathroom vanity and then waxed. I’ve run into a problem with it not repelling water. A couple of drops of water fell on the vanity as I was cleaning the area after painting and the drops of water caused a discoloration. This was after waxing! Now I’m concerned that once this bathroom vanity gets used for teeth brushing and hand washing it will discolor. 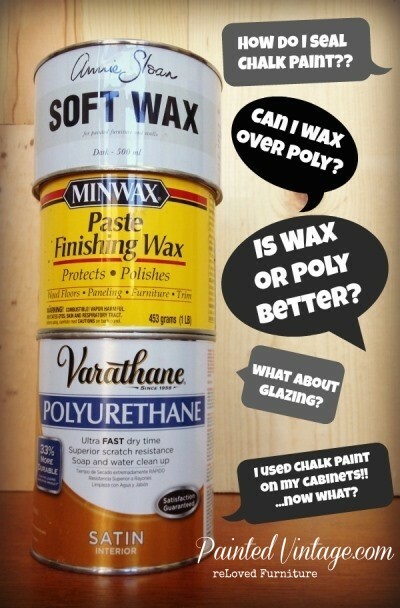 I was wanting to apply poly over it but I’m not sure how to remove the wax? Do I have to paint over it? Sand it down? 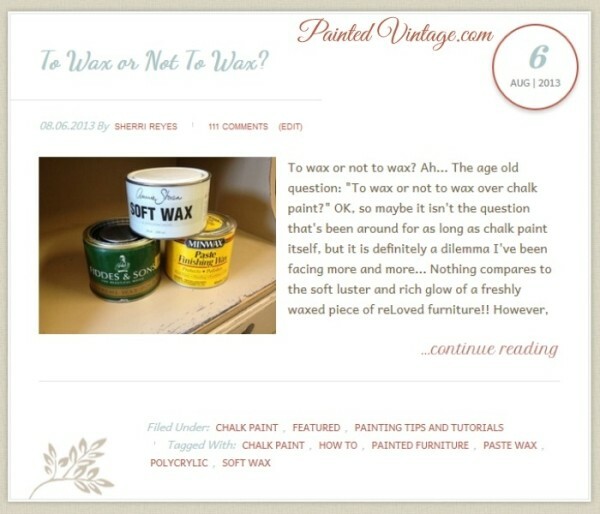 Strip the paint? Ugh I’m tired already. Very good straight to the point information. Thank you!!!! 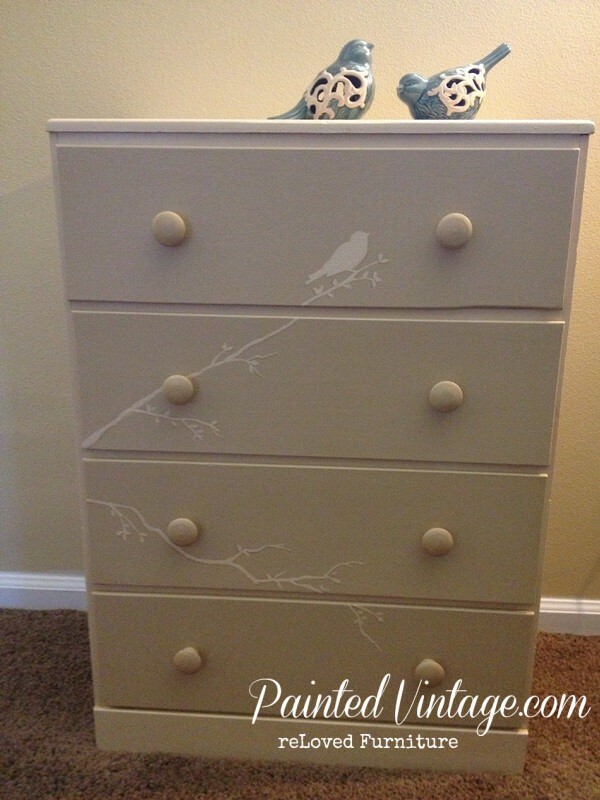 Should I lightly sand the chalk paint before applying the poly? I am very happy to find this article. Thank you! 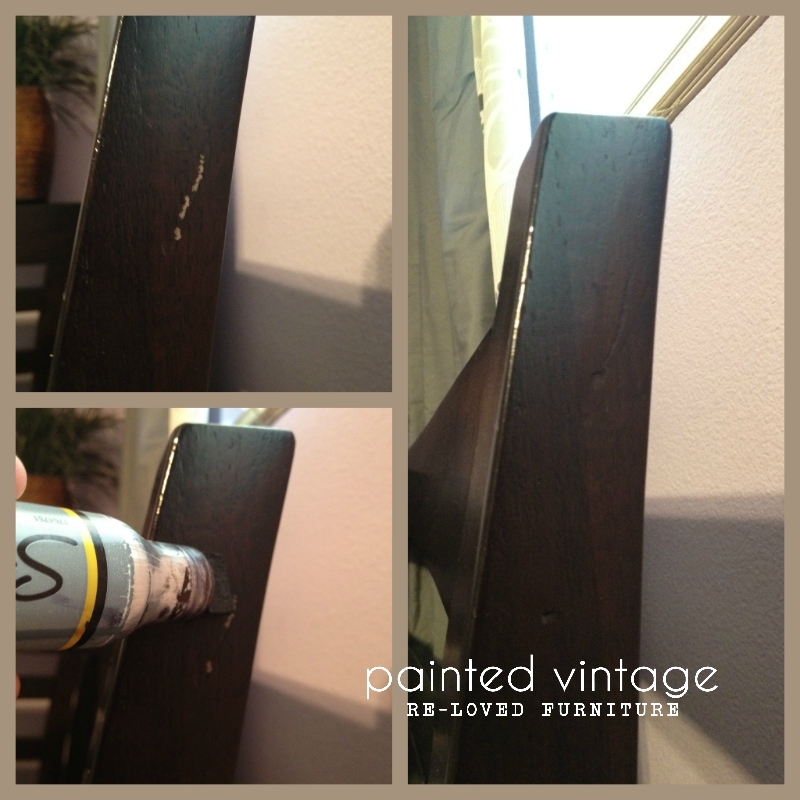 Having the yellowing issues with some chairs I am doing. NOTHING more frustrating! 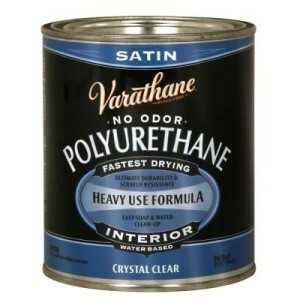 I used the Varathane satin and did get the yellowing. (Luckily on only one of the 4 chairs). I’ve got to try and find the crystal clear! I chalk painted the back and legs of my kitchen chairs. I did a little bit of research and found that I could polyacrylic them without the yellowing, I tested on one chair and it yellowed. They are the creamy white color. What can I do besides the wax for the durable finish? Really, really good info that answered my questions! I have used ASCP for about 8 years and normally use wax, but I am working on a pew going onto a covered porch, so this info is very valuable! Wow!! 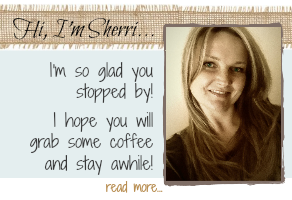 Awesome info!! thank you! 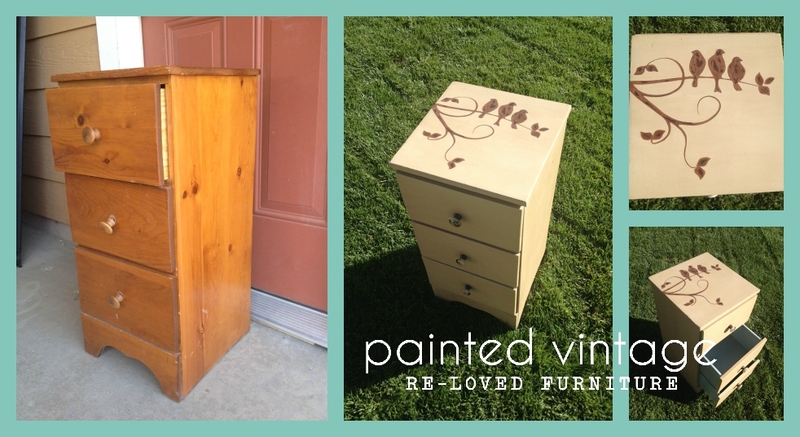 What would you suggest for extra protection on a desk top that I painted with an acrylic paint, fusion mineral paint. 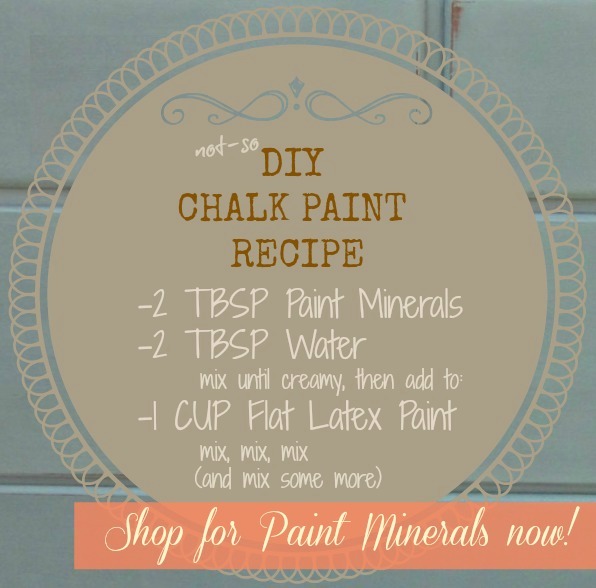 I am afraid to try water based poly over chalk paint in the kitchen. Does it return to a milky look when wet? 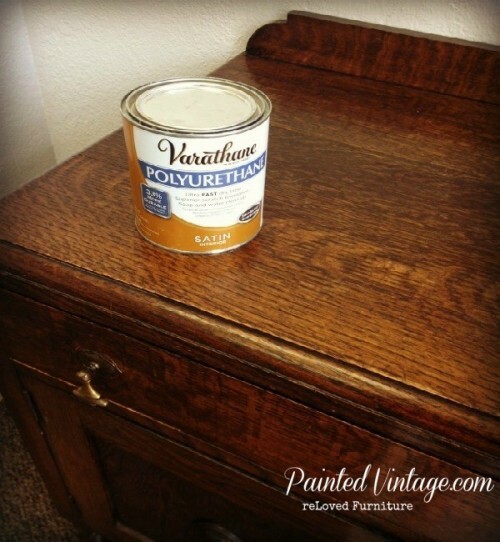 Would you use a varathane over chalk paint? Thanks so much.